Zaman joined aamra companies in 2003 as Manager of Accounts. In his tenure of a decade, he has played key roles as Senior Manager and Assistant General Manager (AGM) of Credit Control & Accounts for four of the major entities of aamra companies. 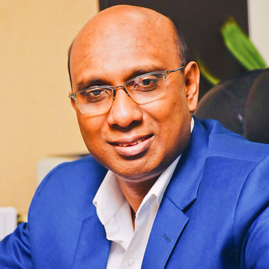 Currently he is the Group Financial Controller of aamra companies and Company Secretary to aamra networks limited. Zaman played a key role during the transition period of the Conglomerate from Texas Group of Companies to aamra companies and also acted a major role during the public listing of aamra technologies limited in 2012. His key function is to develop reports & analyze corporate funds & profitability, exercise a fiduciary role and lead the financial planning to fruition. His dedication and intelligence along with his expertise knowledge on any Financial and Administrative issue, makes him an essential leader of aamra companies. His further aspiration is to offer initial public offering for aamra networks limited and list it as a successful public company within 2015. Prior to joining aamra companies, Zaman was the Company Secretary and Head of Accounts at Padma Cement Limited.